A second Trump-Kim summit is expected to take place in late February, the White House announced Friday afternoon. Kim Yong-chol, the former North Korean intelligence chief and one of Kim Jong Un's closest aides, arrived in Washington on Thursday night and spent approximately 90 minutes with President Donald Trump in the Oval Office. Analysts expect the two discussed details regarding the new summit. 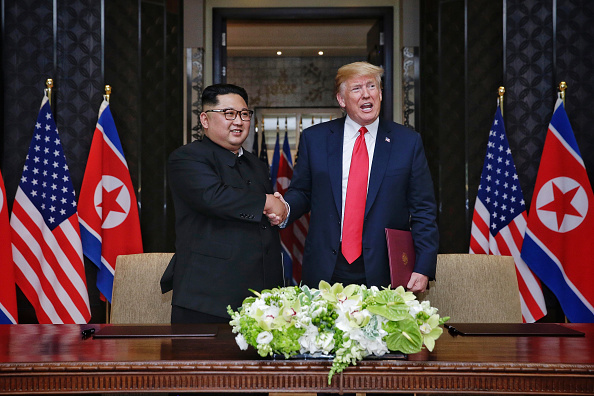 The last summit, held in June of 2018 in Singapore, achieved loose agreements regarding peaceful denuclearization and sanction lifts, but since then North Korea has made little progress on eliminating its nuclear arsenals, and talks had been largely deadlocked. The location of the summit has not been released, although Vietnam4, Thailand, and Hawaii have been suggested as possible locations. Some experts are weary of having the summit held in Vietnam, one of the five other communist countries in the world, because Vietnam's more successful modernization efforts might be viewed as a threat to Kim's preferred approach for his country. Last week, Kim Jong-un visited Chinese President Xi Jinping for discussions about the next meeting with Donald Trump. Kim's visit to China was seen as a positive sign that Kim was looking to the next steps towards peaceful talks with the US. 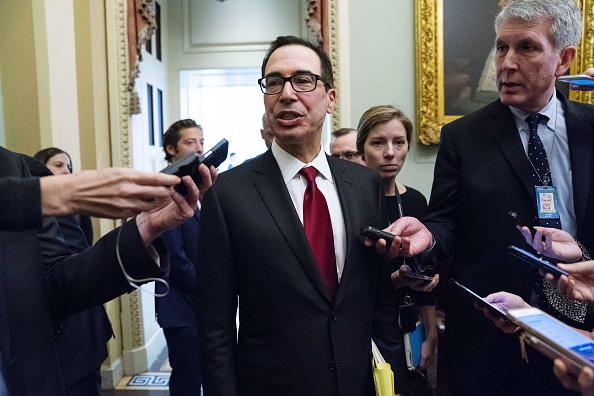 US Secretary Treasury Steven Mnuchin was considering easing tariffs against Chinese goods for the purpose of gaining deeper concessions from Beijing, according to people involved in the US-China trade negotiations. Markets surged following reports of Mnuchin's comments before settling back. While markets reacted positively to a potential ease in the US position, President Trump reportedly "has no interest in making decisions now" regarding specific details in trade negotiations. US Trade Representative Robert Lighthizer is also reported to be against the idea, as this may demonstrate a sign of US weakness. This comes as China prepares to reduce its overall trade surplus with the United States, offering to increase imports drastically and get the gap down to zero by 2024. It is unlikely that an official decision will be made until Chinese Vice Premier Liu He arrives in Washington for the next round of trade talks. Liu is set to meet with Steven Mnuchin and Robert Lighthizer at the end of this month for two days of trade negotiations. Space Wars: America Strikes Back? Just two weeks after China became the first country to land a rover on the far side of the moon, the Pentagon issued a new report that concluded China is "continuing to strengthen" its military space and counterspace capabilities — despite China's public stance that it is more interested in sprouting space crops than space war. The Pentagon report on "China Military Power" is the first public analysis of Chinese military power released by the U.S. Defense Intelligence Agency, and the latest sign that the Trump administration leadership views China's growing military strength as a direct threat. Just a few days prior, Patrick Shanahan, new Acting Secretary of Defense, told staff at his first meeting that the Pentagon's top focus must remain on "China, China, China." 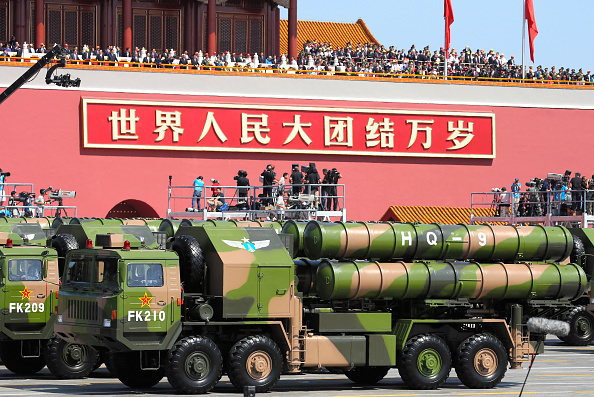 The report highlights a range of perceived threat from China's growing military capabilities, including more sophisticated satellite operations, possible testing on-orbit dual-use technologies, hypersonic weaponry, and cyber capabilities. In conversations with reporters, one DIA official hinted that Chinese military action against Taiwan was a leading concern. Seemingly reacting to the report, President Trump gave a speech on Thursday at the Pentagon where, without mentioning China, he declared that "the US will now adjust its posture to also defend against any missile strikes including cruise and hypersonic missiles," adding that the US would do what it takes "to ensure that we can detect and destroy any missile launched against the United States anywhere, any time, any place." While some Chinese analysts have criticized what they view as recent attempts by the U.S. to escalate international security tensions-- including withdrawing from the Intermediate-Range Nuclear Forces Treaty-- there are some small signs that peaceful space collaboration is more than a moonshot: on Friday, NASA confirmed that the United States and China are in touch and coordinating efforts on China's ongoing moon exploration. 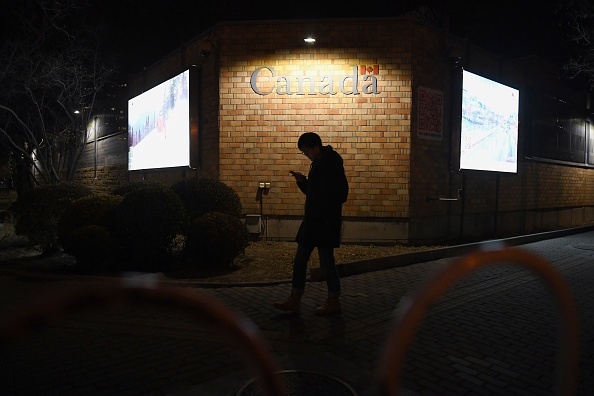 Canadian citizen Robert Lloyd Schellenberg, 36, was sentenced to death on Monday in a court in the northeastern province of Dalian, China on drug-smuggling charges. Schellenberg, who was arrested in 2014, was originally set to serve 15 years in prison but on Monday an appeals court found that Schellenberg's sentence was too lenient and ordered the retrial. Schellenberg will appeal the death sentence, according to reports from Tuesday. Schellenberg was convicted of attempting to smuggle more than 222 kilograms (489.4 pounds) of methamphetamine from China to Australia. Schellenberg's sentence is the latest in the widening rift between China and Canada, and some believe that Schellenberg's swift retrial was retaliation for Huawei CFO Meng Wanzhou's arrest earlier last month. Shortly after Meng's arrest, 2 Canadian citizens were also detained in China under charges of conspiring to subvert national power. Canadian Prime Minister Justin Trudeau told reporters Monday, "It is of extreme concern to us as a government, as it should be to all our international friends and allies, that China has chosen to begin to arbitrarily apply (the) death penalty ... as in this case." In response to Trudeau's remarks, Chinese Foreign Ministry spokeswoman Hua Chunying said, "We urge the Canadian side to respect the rule of law, respect China's legal sovereignty, correct its mistakes, and stop making irresponsible remarks," in a regular press briefing. Punishment for drug-related crimes is especially severe in China, and there have been cases of foreigners being executed in the past.